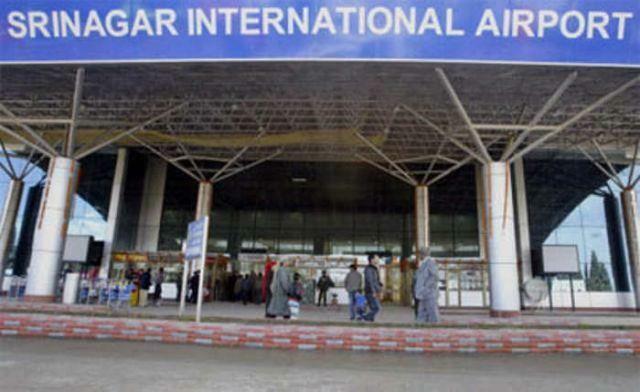 New Delhi, Jan 18: The audit report of the highly sensitive Jammu, Srinagar and Leh airports is under final scrutiny of the Bureau of Civil Aviation Security (BCAS) that will send its endorsement "very soon" to the Union Home Ministry, to hand over the security responsibility of these airports to the CISF from the CRPF. Sources in BCAS said the possibility was that the "core area" or inner security would be given to CISF while the Central Reserve Police Force (CRPF), which has been providing over all security cover to these airports since 1990, would secure only outer circle. "BCAS' scrutiny of the audit report is in final mode. It will soon send its endorsement to the Home Ministry which will take the final call whether CISF will provide inner and outer security both or CRPF will continue its role in outer circle of Jammu, Srinagar and Leh airports," a Ministry official said, requesting anonymity. "The number of CISF personnel to be deployed on each of the three airports will be decided later as per the Home Ministry's approval." The Home Ministry last November had decided to hand over security of these airports to CISF from CRPF on the "same terms and conditions" which are in force for deployment of the CISF at other airports. The move was intended to bring uniformity in the Indian aviation sector. A CISF official, on the condition of anonymity, told IANS: "As the audit report is with the BCAS and the final nod by Home Ministry is still pending, it would not be good to talk about what kind of changes will be done by CISF on the three J&K airports. But, in the audit report, we have mentioned that the existing security infrastructure will not be changed at these airports. "If we think about any change, it can be done on installing more CCTV cameras. However, we have mentioned in the audit report about the number of troops, equipment and weapons required to provide security at these airports." The official said "we had mentioned the break-up of personnel and equipment needed both for inner and outer circle deployment". "As per an estimate, the official said over 1,200 personnel, are needed to provide round the clock security at these airports." The government has been discussing deployment of CISF -- a highly skilled aviation security force -- at Jammu and Kashmir airports for several years. The CRPF has, however, opposed the move.